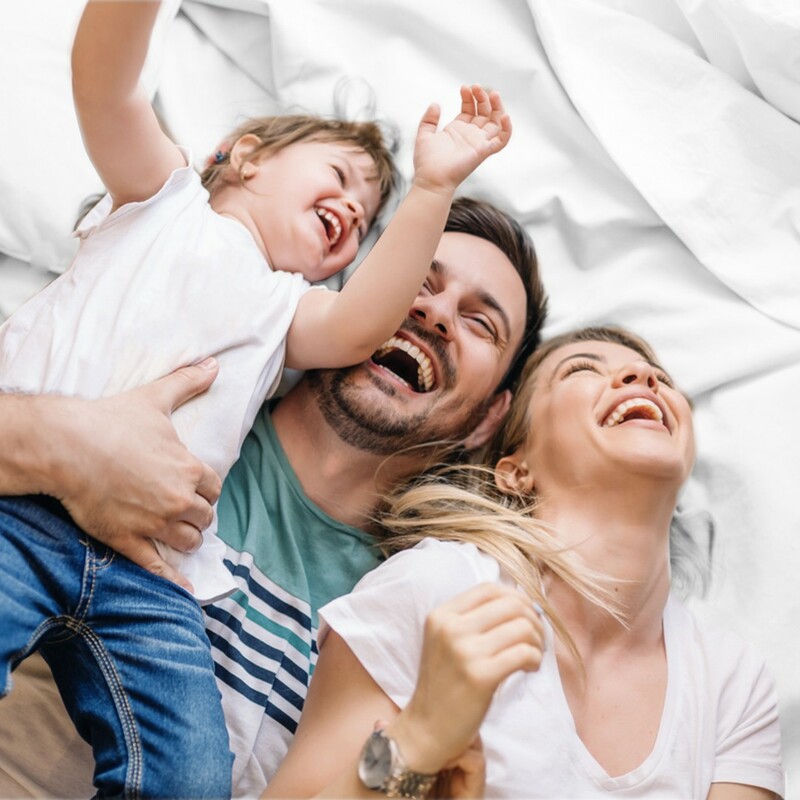 Book 3 days in advance, get 15% off your stay and enjoy a luxurious and relaxing moment in Bangkok from the best rate of the day when booking online! 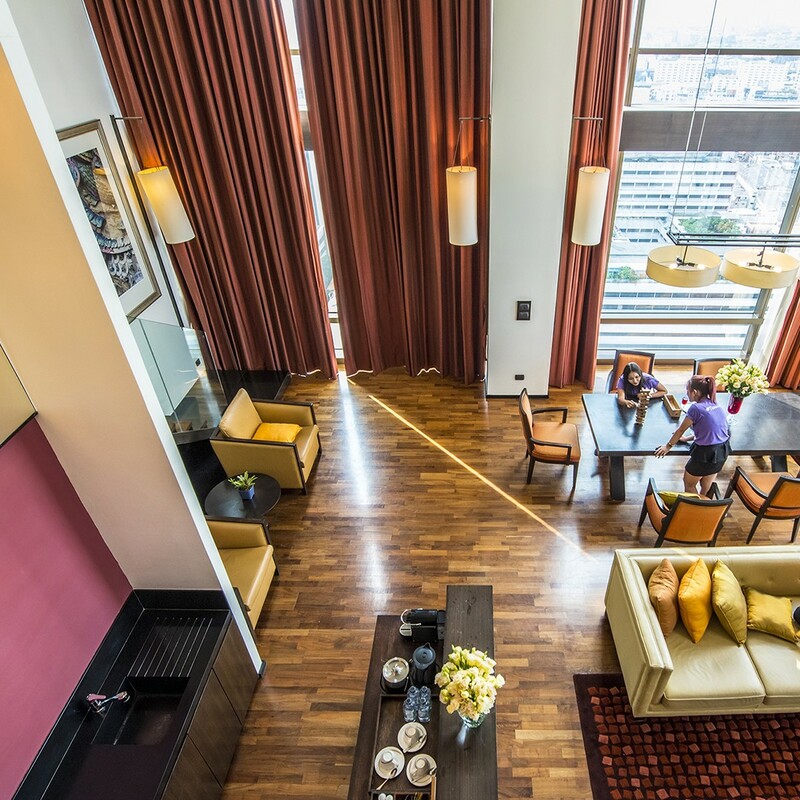 Live it up in modern and elegant style in the heart of Bangkok, with easy access via the BTS Skytrain Ratchathewi Station to all of the city’s most fascinating BTS stops for shopping, sightseeing and much more. And with our VIE Tuk Tuk service, a short ride takes you right to the famous shopping areas that have made Bangkok such a favoured destination. 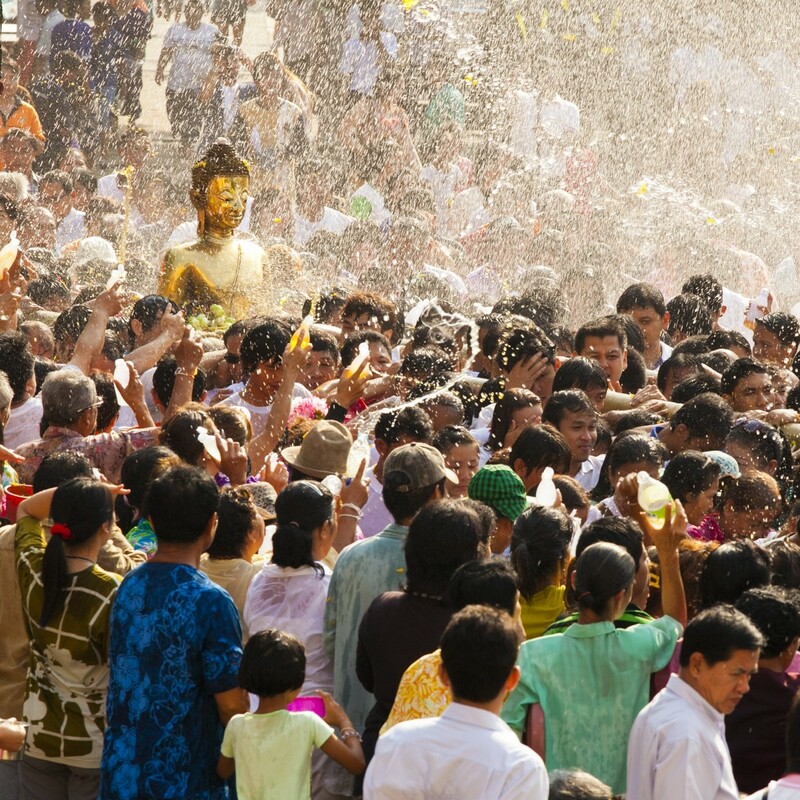 The Thailand festival of Songkran marks the beginning of the traditional lunar Thai New Year. Celebrated during 13th – 15th April, the Songkran festival is the most important and most famous celebration in the country. For visitors to Thailand, the single most recognizable of all the Songkran festival activities is definitely the joyful splashing and spraying of water on passerby and anyone else who shows up. And Songkran 2019 will definitely feature all the wild and wet trappings the holiday is known for. The splashing takes various forms, from kids on the side of the road with a hose or water pistols, to a neighbor gently ladling the water over you in a dish at a family get-together, to pickup trucks actually driving around towns spraying other trucks and pedestrians in a kind of fun water war! In Songkran Bangkok, things tend to get even wilder, but everywhere in the country you can expect nothing less than a three-day water party. 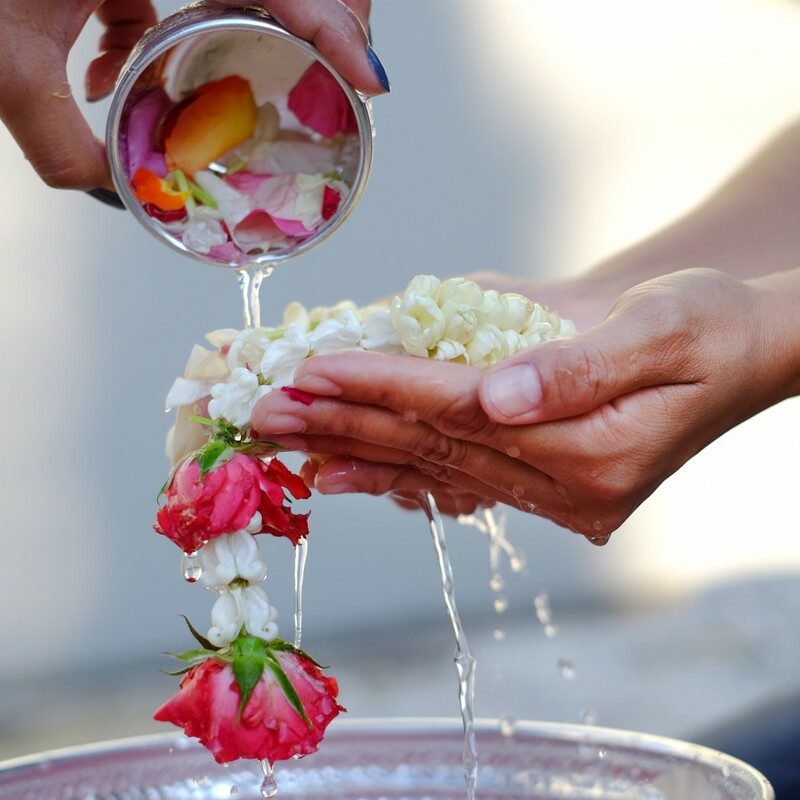 But wherever it is, and however it hits you, during Songkran 2019 as with all years stretching back into prehistory, the water is a symbol of purification. 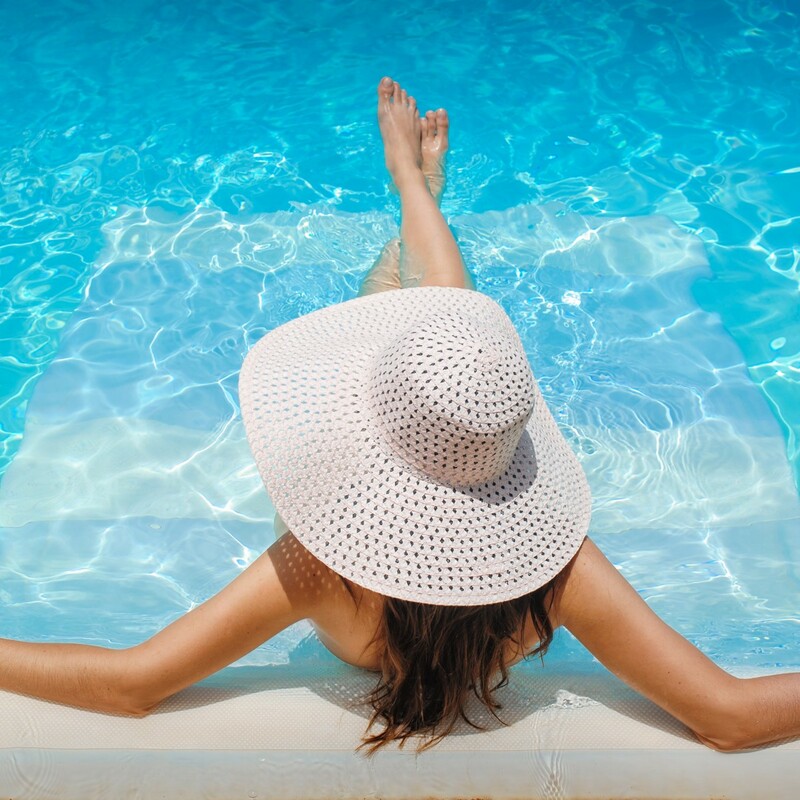 Of course, the water is also a fabulous way to cool off in the middle of Thailand’s Hot Season! Another common symbol of this important Thailand festival, which you might experience on the road or at any kind of party, is the smearing of each other’s faces with a white natural powder. This practice also apparently has age-old roots, but the general idea is that talc powder helps keep you cool and less oily under the humidity and heat. Mixed with water it turns into a crusty paste, and being kindly smeared with it during the festival is a happy sign that you have surely been to — or through! — a Songkran party. 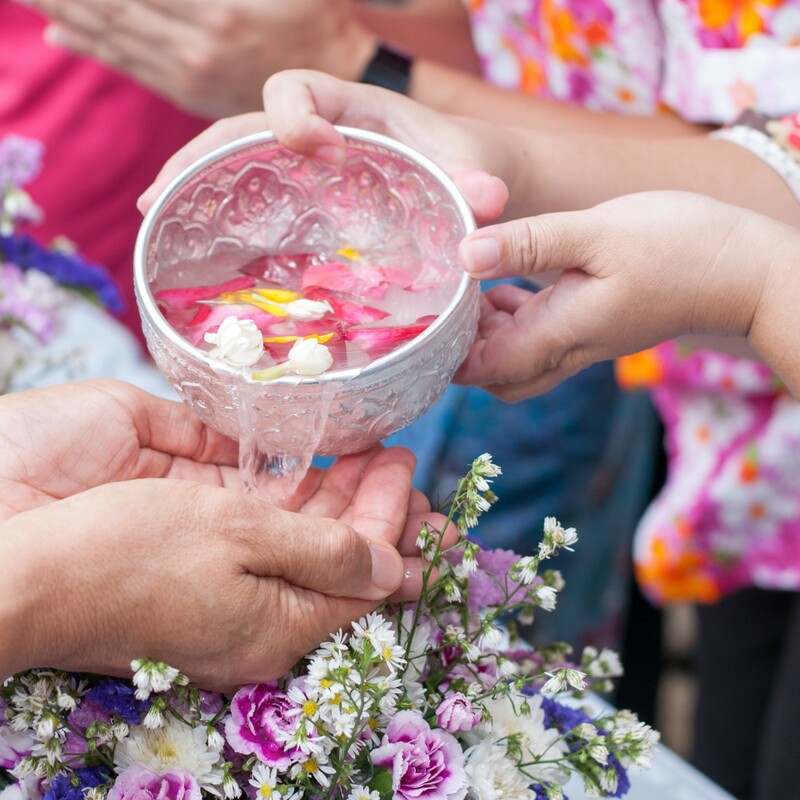 However, as a festival that is steeped in ancient traditions, Songkran has always been a time when Thai people travel back to their hometowns for family reunions, to pay respects to their elders, and for religious rituals. A national holiday, you can expect the roads clogged with very heavy traffic going out of Bangkok in the days leading up to Songkran, and with very heavy traffic coming back into the city after Songkran, as Thais literally by the millions migrate home for the holidays and return to work in the capital afterward. Numerous temple fairs and live concerts will also take place across the country around this time, giving the Thais an opportunity to let their hair down, splash water on each other, dance and party a bit — though in recent years, and as Songkran festival activities have achieved more international fame, the partying aspect has certainly become significant. 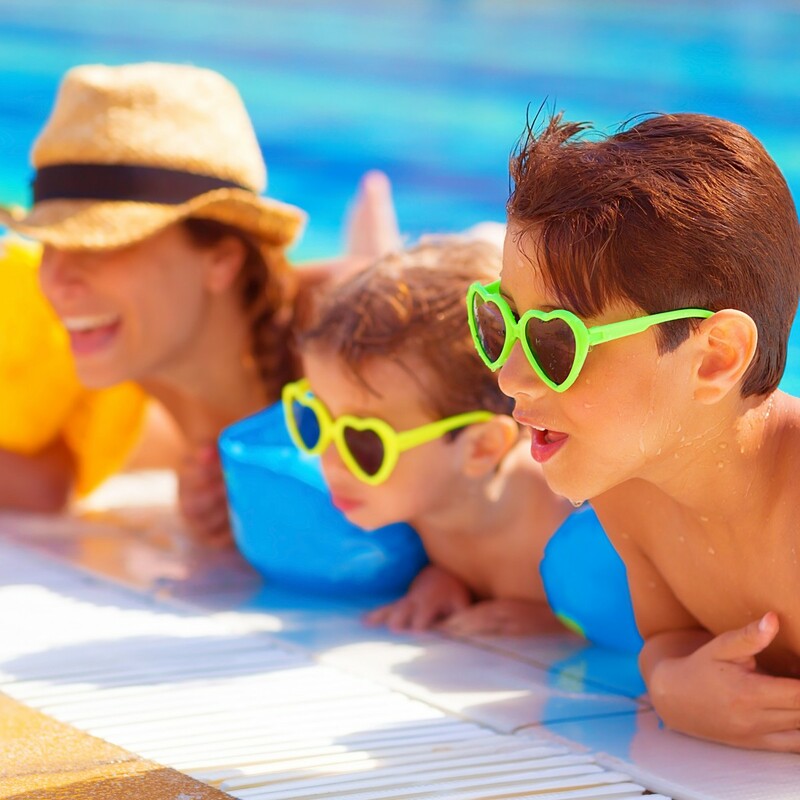 For those who love a good party, there is nowhere else on earth like the carefree three-day splashing extravaganza you will find during Songkran Bangkok. The two biggest spots for dancing, drinking and drenching mayhem in the city during the festival are well known and easy to find. They are along one of the major business district thoroughfares called Silom Road and in the old backpackers’ haven of Khaosan Road. The commercial district location of Silom Road is an extremely popular party zone. 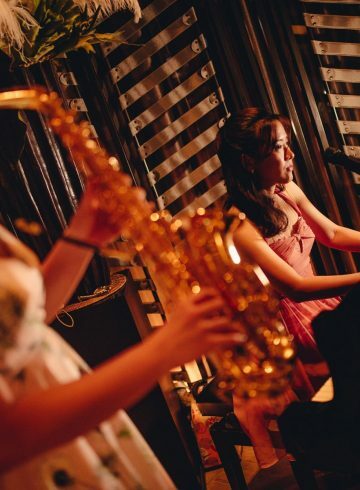 At any other time, you wouldn’t know it as it is lined by banks, shopping malls, business high-rises, hotels and shops, and also includes the famous adult entertainment area called Patpong. But during Songkran most of all that is shut down and the road is totally transformed! Music will be thumping from every angle while happy, laughing and absolutely soaking wet crowds will be packed in tightly along the sidewalks of each side, and all across the Saladaeng BTS station, dousing everyone who comes down the road — and each other as well. Just bring your squirt gun and find a place to squeeze in and join the party. It won’t take long before the spirit of Songkran puts a smile on your face. For fewer crowds, just walk westward along Silom toward the river. By the time you come to the colorful Hindu Sri Maha Mariamman Temple at Soi Pan, you will have had the opportunity to join in about half a dozen smaller parties which are just as fun. For sheer watery insanity during Songkran Bangkok, Khaosan Road is almost like another planet. During the three days and nights of the festival, the road is overflowing with party-minded Thais and tourists from around the world, dripping with the wet white paste of Songkran. 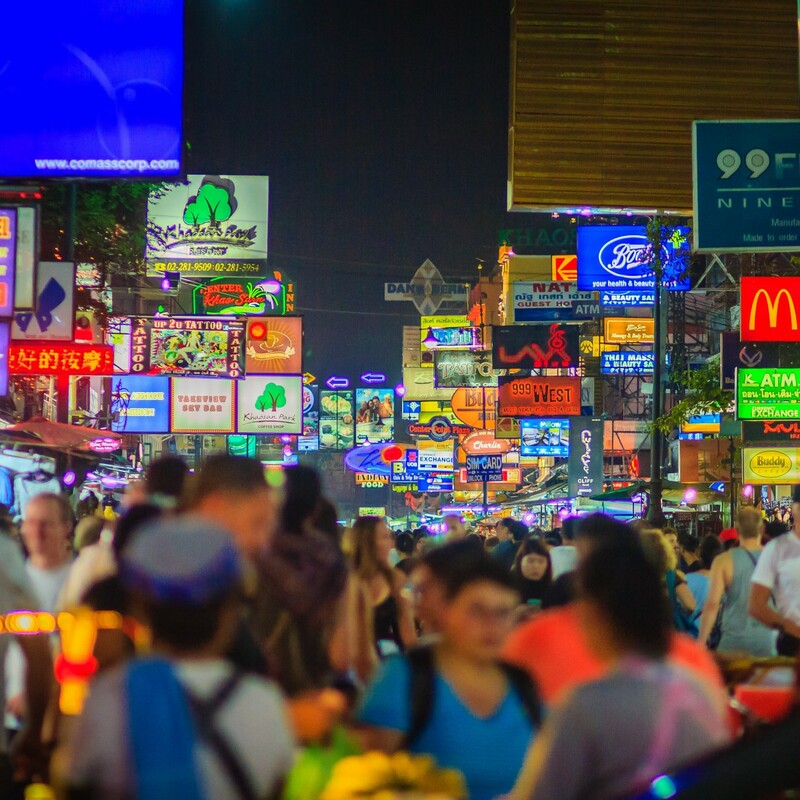 While the bars, clubs, restaurants, shops and budget hotels which made Khaosan Road such a hit with international backpackers remain open and operating, the cacophony of music, screams and laughter, dancing and the pell-mell of a hilarious battle of squirting water guns and hoses are nonstop. Of course you will be able to find a number of other more sedate, if still quite crowded sights to see, which are unique to this Thailand Festival. In Sanam Luang, the Royal Field, there will be some fascinating and ancient religious ceremonies to mark the coming new year, according to the Thai lunar calendar. At Asiatique The Riverfront, a high-end night bazaar with a number of excellent restaurants and stylish pubs which is accessible by a short shuttle boat ride from the BTS Taksin station, there will be some performances and perhaps even a beautiful demonstration of traditional Thai dancing. 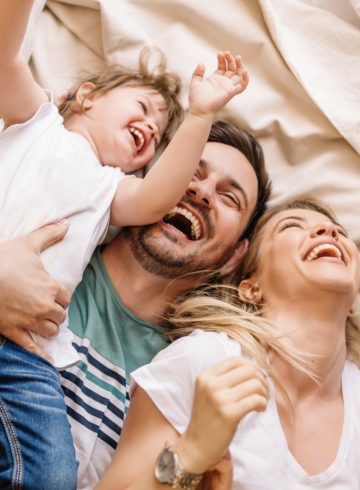 With so many fun and intriguing Songkran festival activities going on in the city, a Bangkok centre hotel is essential for a stay in mid April. Ideally, your choice of a Bangkok centre hotel should allow you easy and quick access to all the hot spots during Songkran. 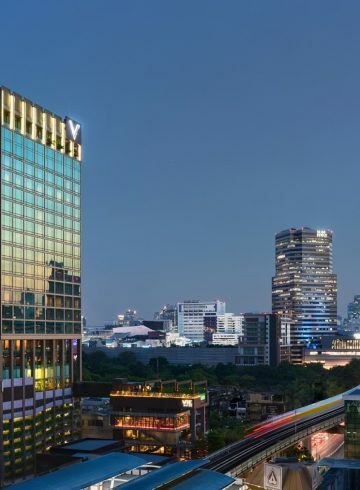 Staying in accommodations which are right along the BTS Skytrain is the best choice, which is where the location of VIE Hotel Bangkok, MGallery Hotel Collection really shines as an ideal place to stay for the Thai New Year in the city. From VIE Hotel Bangkok it is only a few minutes’ walk to the Ratchathewi BTS Skytrain station means that you are only around 15 minutes from the great party that will be going on throughout the three nights of Songkran on Silom Road. Just disembark at the Saladaeng station three stops away, and you are already into one of the greatest parties on earth. 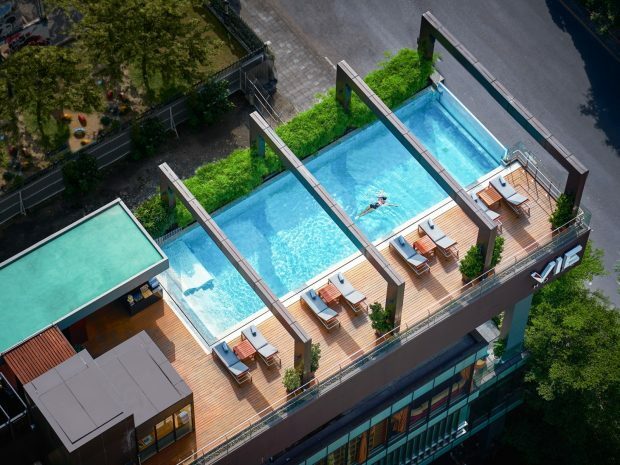 And as a Bangkok centre hotel, VIE Hotel Bangkok is superb. With acclaimed and innovative dining in La VIE – Creative French Cuisine, which regularly hosts visiting Michelin-starred chefs, and the authentic Japanese Omakase sets at YTSB – Yellow Tail Sushi Bar your needs will be well taken care of. 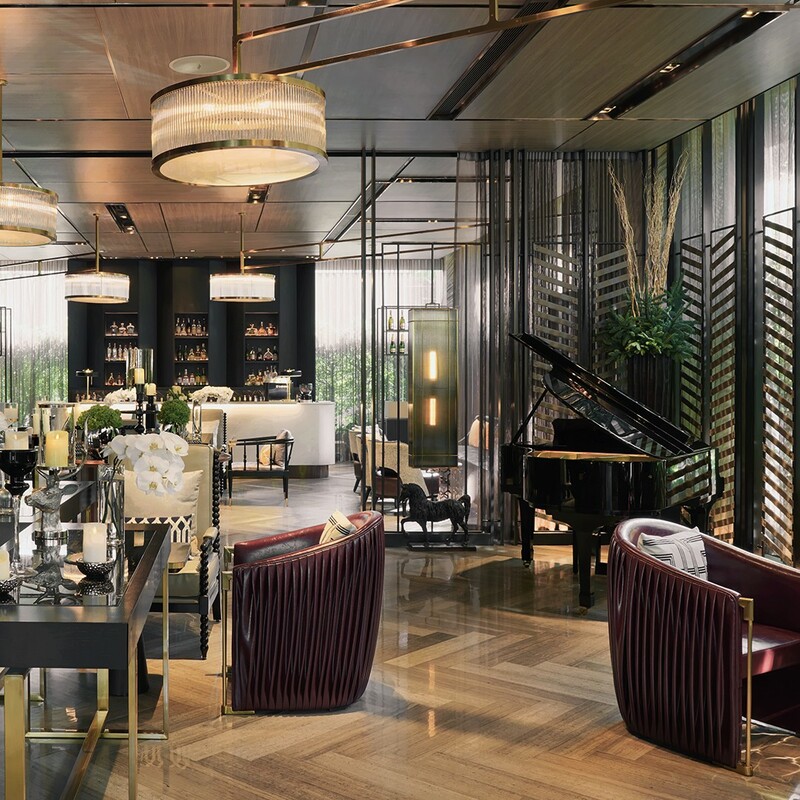 And when you would like to chill after all the extraordinary excitement of Songkran in Thailand, the modern and elegant Piano Bar next to the Lobby on the first floor provides the plush and comfortable furnishings your tired-out dancing legs will love you for.